Photo Provided The Wheeling Jesuit University dance team includes from left, Pria Anderson, Karly Morell, Dona’e Albert, Christine Mellick, Rachel Smissen, Paige Endly and Autumn Corne. 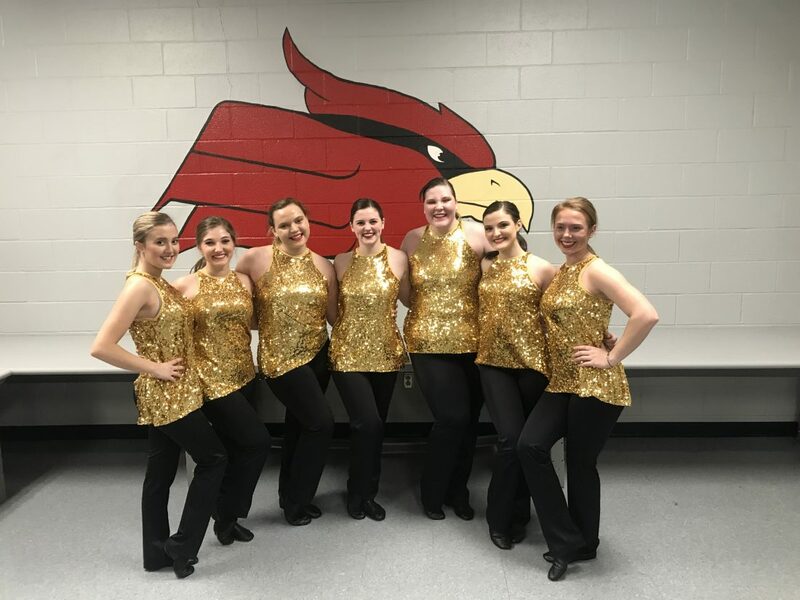 WHEELING — Wheeling Jesuit University’s dance team, recently formed in the fall, competed in its first-ever competition on Jan. 27, in Cambridge, Ohio, at the AmeriDance Dance Team Competition. The team performed its jazz and pom routines and took first place in both categories. The team’s roster is made up of seven students: Dona’e Albert, senior; Pria Anderson, freshman; Autumn Corne, freshman; Paige Endly, freshman; Christine Mellick, sophomore; Karly Morell, senior; and Rachel Smissen, sophomore. The group performed at several football games during the fall semester and plans to perform at future athletic events on campus, including basketball games and a wrestling match. “As a club team, we also do service projects with Laughlin Memorial Chapel in East Wheeling. We teach a once-a-week dance class, and we have invited the girls at Laughlin to perform with us at halftime of the men’s basketball game on Saturday, Feb. 16. We are all very excited,” said Mellick.